Newsletters offer a direct way to stay in touch with news and updates in the design world. They arrive right in your inbox and share only the best stuff. Sidebar is really a design curation site where the creator Sacha Greif hand-picks 5 new links every day to promote. These are always design related posts covering tutorials, breaking news, or insights from industry thought leaders. The Sidebar newsletter comes daily and it gives you these 5 links right into your inbox. It’s a super convenient way to stay on top of Sidebar without constantly visiting the site. 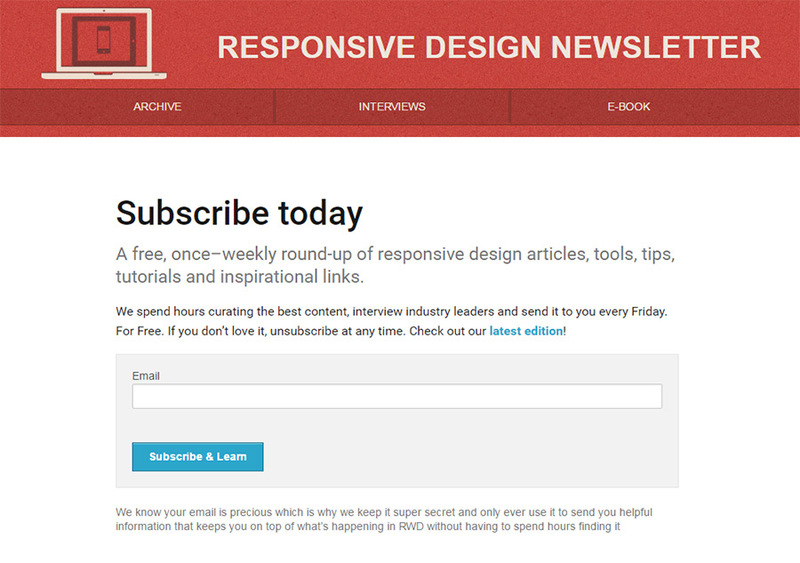 Here at 1stWebDesigner we also have a sweet newsletter geared towards design professionals. This heavily curated resource shares only the best news and articles from around the web targeted specifically at designers. It offers a great way to satiate your design curiosity with top-quality content. It doesn’t get more meta than the Really Good Emails Newsletter. A site devoted to newsletters with their own newsletter? Yep, and it’s pretty awesome too! Every major site needs a newsletter. But the toughest part can be designing one and understanding how to orient content. With this newsletter you’ll get inspiration and marketing tips sent directly to your inbox once a week. You may be surprised to learn The Web Designer isn’t a blog, community, or gallery. 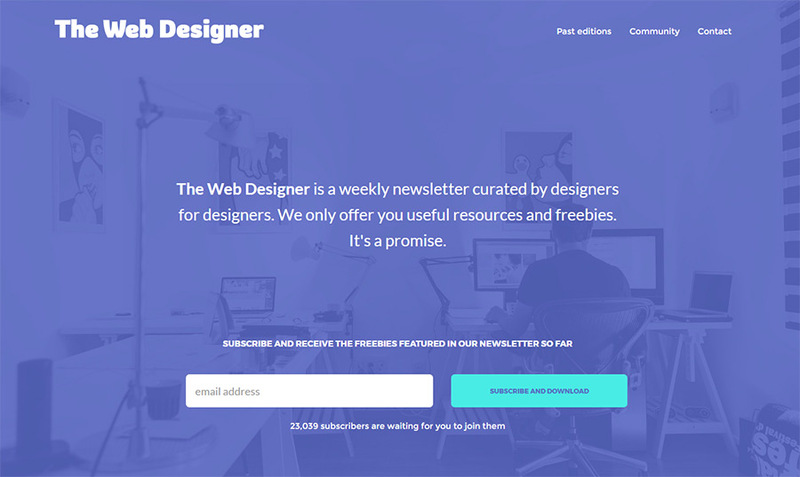 It’s solely a newsletter dedicated to web designers and the design industry. It’s one of the fastest-growing newsletters online with over 23k subscribers and counting. 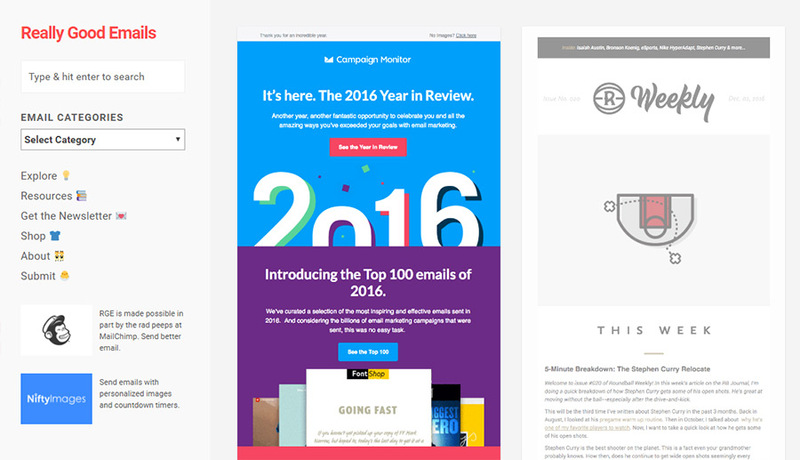 These emails include a hodgepodge of design freebies, JS plugins, and awesome articles that deserve your attention. Smashing Magazine has built an empire of incredible content in the design & dev space. 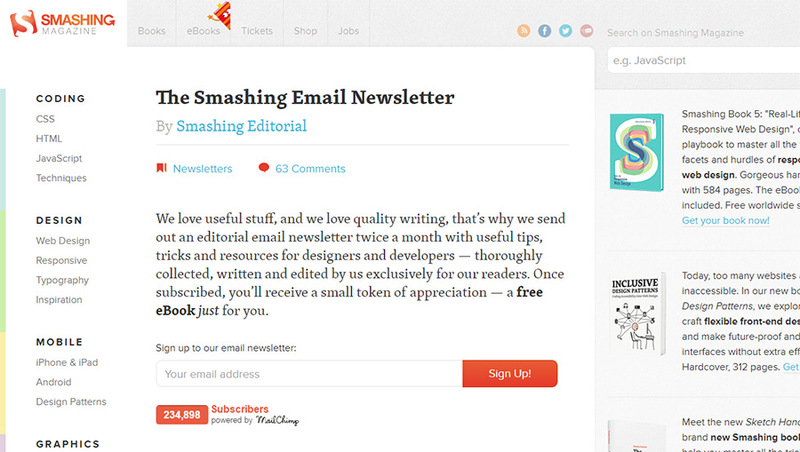 Their Smashing Newsletter has to be one of the most viewed in the design community with over 230k subscribers. This newsletter covers a little bit of everything. You’ll find coding tutorials, UX design articles, WordPress articles, and everything relevant to a modern designer. If you’ve never read any newsletters before then this is a great place to start. Every designer knows & loves responsive design. It’s the way of the future for web design and with Responsive Design Weekly you can keep up with all the latest news, tutorials, and top-quality inspiration dedicated to responsive design. We’ve reached a point where non-responsive design is almost a strange relic of olden times. By staying on top of the responsive design community you’ll be at the forefront of the newest techniques and CSS/JS libraries. I’d say that Hacking UI is geared towards coders over designers. It covers a lot about startups, building quality interfaces, and front-end coding with the right tools. The site also runs a podcast and offers dozens of amazing tutorials so you have a huge library to pick from. But their newsletter curates everything together into a nice little bundle delivered to you on a weekly basis. User-curated news was popularized by Digg and carried on through many other websites. One design-oriented site is Web Designer News and it’s quickly becoming the source for breaking design news online. Their newsletter gets delivered daily with all the latest news over the past few days & weeks. If you don’t want daily updates then this may not be for you. But it’s the best resource to get design news hand-delivered without any effort. Frontend technology has so much room for modern CSS3 to grow into uncharted territory over the next few years. And CSS Weekly is sure to keep you updated on all the latest happenings as they occur. The newsletter is only focused on CSS but can include tools/resources on Sass, Less, and other similar tools. Everything is hand-curated by Zoran Jambor and it’s the single best resource for staying on top of the latest CSS developments. Another weekly resource is UX Design Weekly which covers a broad scope of user experience and interaction design. Every issue of the newsletter can be seen on the website including all links from the prior week. This newsletter is perfect for finding UX tutorials, case studies, opinion pieces and tools. This info is imperative for every skilled UX designer & aspiring designer. Finding the right newsletter is all about matching your interests with a resource that can add value to your career. Take another look at this collection and sign up for any newsletters that grab your attention. They are all completely free, and you can always unsubscribe, so there’s nothing to lose! You might also like to take a look at the 30 best web design blogs worth following.